Here are 2 new salad seedling varieties I'm planting in a few days as the second batch I'm planting of salads of the season (June 16, 2017) ... On the left is, "Forellenshchluss Heirloom Romaine Lettuce", also known as "Freckles or Black Trout". "Forellenshchluss" is a gorgeous romaine lettuce with excellent texture and taste. This lettuce has deep green leaves with wine colored splotches. It's also a winner of numerous lettuce competitions. 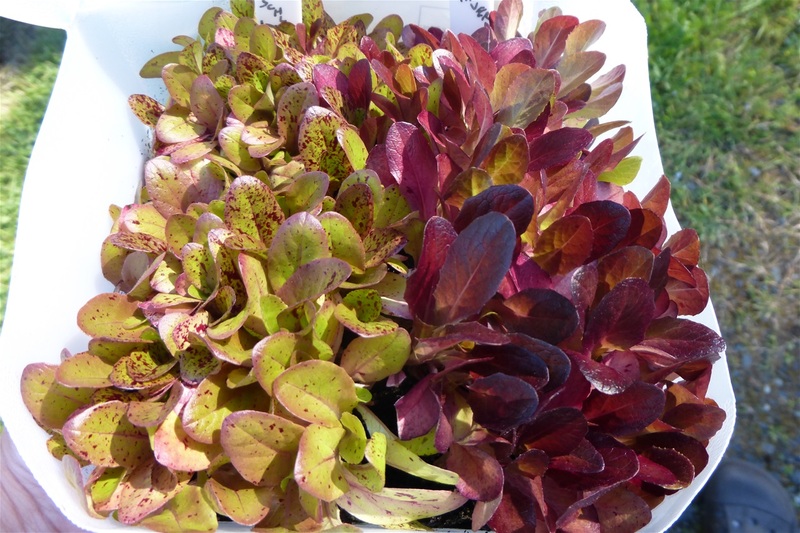 This is a a very old lettuce variety originally from Austria and Southern Germany. The second lettuce, half way on the right in this milk jug is "Rouge D'Hiver". It is a semi-open romaine lettuce and also an old Heilroom from France from the 1840's as a hardy and productive lettuce that's slow to bolt.